When purchasing or selling off bonds, stocks, mutual fund shares, insurance annuities or any other financial products, most of the investors use the services that are provided by securities, commodities and sales agents of financial services. A lot of times, clients may also refer to these professionals for advice on planning of estate, investment and other financial services and activities. A notable branch of finance that one needs to explore when considering career options is commodities market. Commodity market is a physical or virtual market place for the purpose of sale, purchase and trading of raw or primary products. For investors specifically, at the moment there are about 50 commodity markets all over the world. These markets help commodities sales and trading in almost 100 primary commodities. Commodities are split into two main types. These include hard commodities and soft commodities. Usually, hard commodities are natural resources that need to be extracted or mined from the earth. Soft commodities are livestock or agricultural products including corn, wheat, coffee, chicken etc. For investors, there are several ways to invest in different types of commodities. An investor can buy stock in different corporations that have based their business on the prices of commodities, or purchase mutual funds or exchange traded funds focusing on commodities relevant companies. One of the most obvious ways of investing in different commodities is through purchases into future contracts. What do commodities traders do? The first thing to understand are the duties and job description of commodities sales agents. 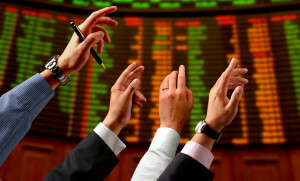 Commodities sales agents connect buyers and sellers in different financial markets. These individuals sell securities to people, give advice to companies who are looking for investors and conduct trade activities. These traders are involved in the buying and selling of their client’s orders through an official trading department of an organization. They may also provide advice to their clients who are looking to invest in a particular initiative. In order to qualify as a commodity agent no specific or standard degree is required. A commodities trader may also be referred to as a commodities broker. These brokers should ideally keep a sharp watch on the current market. This must be done in relation to the product and investment pricing, demand and latest trends. There are some traders who receive buying and selling instructions and guidance so that when they meet up with other commodities traders, they are able to negotiate transactions. As far as the academic requirements of becoming a commodities trader are concerned, they are based on the standards of the industry or the employer’s requirements. However, as a norm, the minimum requirements to enter into this industry are a bachelor’s degree, even though candidates with master’s and doctorate degrees are also quite common. Study areas in under graduate, graduate or even post graduate studies range from economics, finance and banking to agriculture and social sciences. Students who have taken up this discipline are able to gain a perspective of the real, practical world through their internships and term projects. In order for a commodities trader to give advice to clients, sell, buy or even exchange commodities, he or she must be registered with the relevant financial regulatory authorities. Although there are no fundamentals to this, still, the candidates must have acquired sponsorship by an investment or a brokerage firm. In order for the commodities professional to maintain his or her license, it is necessary to continuously enhance ones education and qualifications as offered by the organization. A professional commodities trader may have to attend classes which might be provided through a university, through a regional and internet based workshops, trainings, conferences and online learning opportunities. The minimum hours to spend in this continuing education program range from 12 and above over a course of 2 to 3 years. Although these are not always required, professional certification gives the professional a chance to enhance their standing in an organization. Commodities brokers, investment bankers and financial services agents can earn the CFA certification (Chartered Financial Analyst). In order to qualify for this certification, it is necessary to have completed 4 years of a bachelor’s degree in the relevant field, along with the relevant work experience. Moreover, it is necessary to pass three exams which are knowledge, skill and intelligence quotient based. These exams often require several months of self, individual study, covering disciplines such as accounting, economics, financial markets, corporate finance, portfolio management etc. Additional qualities that are needed to become a successful commodities trader include superior customer servicing skills. Clients must feel persuaded and convinced about the advice and recommendations that are given to them by the commodities traders. Decision making skills are also needed by commodity traders in order to make quick judgments and decision calls that may be critical for the client. Other than this, attention to detail and the courage to take initiative are also qualities that are revered in a commodities trader. A bonus would be superior mathematical skills as this field and discipline is all about working with numbers. Commodity brokers and traders are usually compensated on a commission basis. This means that they make a living by the percentage of the commissions that are realized from the trades that their clients get involved in. Many commodity brokers make it through the noise, while many fail in the first six months as well. For this reason, it is difficult to assign a value to the amount that they get paid. It is observed that the rates of commission have significantly fallen through the years. This is so because online trading has taken over and clients are becoming more adept at trading themselves as well. Even then, there are many commodity traders who have made it big in this industry. Typically, there are three types of brokers. The first category of brokers is those individuals who have just entered the industry and have not quite made a name for themselves in the current pool of clientele. Professionals in this category struggle to make ends meet and their salaries are limited until they make a name for themselves in the industry. The second category of commodity traders is those who have been in the business for a few years, and have some experience under their belt. These professionals have a number of clients who trust them and are willing to give them a decent commission on the dealings that they carry out for them. Due to this, they are able to earn about $30,000 to $70,000 per annum. The last type is the top level of commodities traders. These professionals are outstanding salesmen and traders. A professional who is as skilled as these individuals is able to bring about significant business to increase his or her earnings. The percentage of such traders is quite low and they usually get new business through referrals and good reputation. These traders and brokers are also able to get access to larger, more significant accounts, which ultimately translate in higher commissions and salaries. Such commodities professionals can earn up to $100,000 per annum if they play their cards in the right manner and at the right time. This entry was posted in Jobs in Finance and tagged #commodities, commodities trader, commodities trader salary, commodity sales and trading, how to become a commodities trader.